Paul Hogarth (b. 1917) is one of the foremost illustrators and graphic artists of our age. 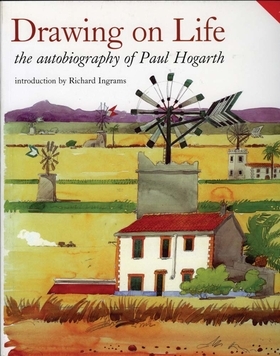 Through his collaborations with celebrated writers such as Doris Lessing, Brendan Behan, Graham Greene, and Lawrence Durrell, his clever, witty work has become familiar to millions. His adventurous spirit permeates this autobiography in words and pictures, which offers an artist's-eye view of six decades of world history. Now available for the first time in paperback with 16 new pages on Hogarth's recent travels in Tuscany, Portugal, and Scotland, this copiously illustrated book is a humorous and unique commentary on 20th-century life.Richard Ingrams, Editor for over 20 years of Private Eye, Britain's leading satirical magazine, has written an introduction setting Hogarth's work in context.